As luck would have it for the average Canadian consumer travelling to the United States, it still makes a lot of sense to spend more dollars state-side than in Canada. Having recently returned from a holiday in California I was quite happy to spend as many dollars as I could in the old U.S. of A since like me, many Canadian consumers are still paying more for goods and services at home even though the Canadian Dollar is now worth $1.04 U.S. The Loonie ( as Canadians affectionately call the dollar) has now risen 30% from its levels just two years ago fuelled by investors seeking the stability of Canada’s financial system and booming demand for the nation’s commodities. BMO Chief Economist Doug Porter says that it’s because of more moderate inflation performance vs. other countries overwhelmed by the surge in currency. As a result says Porter “the cost of a basket of goods, adjusted for today’s exchange rate, has bolted higher in Canada relative to the U.S”. Having lived in Toronto growing up, it was not uncommon in the 60’s and 70’s to make the trip to Buffalo N.Y to shop and to pick up Lee Jeans, and Penny loafers ( once all proudly carrying the Made in USA sticker) and bring them back to Canada every chance you got. The U.S. dollar could be purchased for as little as $.70 cents Canadian and it made perfect sense to purchase goods at lower prices in the U.S. with higher Canadian dollars. Over the years that has all changed. The Loonie fell behind the U.S. dollar and Free Trade had so much impact in that it became attractive to start to sell your goods in the U.S. at margins 25-40 percent higher due to the fact that the Canadian dollar was trading in the $.60-$.70 cent range for one U.S. dollar. The U.S. economy was booming and everything from lumber to pork bellies was in demand. This helped Canada in the export market because goods bought with U.S. dollars gave manufacturers a comfortable margin just with the exchange rate. Now however, some companies have had to learn how to adapt to being more competitive in sales, quality, delivery and performance based on the rising Loonie. Now another thing is happening with the a the rising Canadian dollar, consumers are still paying more for comparable products in Canada than our friends south of the boarder. For example, check out the price of Books and Food. The U.S. price is still lower for a book in comparison to Canada even if the book is printed in Canada and there are no shipping costs. Running shoes in the U.S. can be had for a low buy one pair for $69.00 get the second pair at ½ price. In Canada the same shoes cost $147.99 Canadian for one pair. Golf balls have an 11% price difference in Canada than in the U.S. Gap Cargo shorts are 15% more expensive and an IPod Touch costs $249.00 in Canada and $200.89 in the U.S. The cost of gas and alcohol is also cheaper in the U.S. due to lower government taxes. For example a gallon of gas in Canada costs $5.62 cents (at $1.25 a liter) and a six pack of beer is around $10.99 plus deposit. I recently bought a case of 12 Becks beer in California for $11.99 and a dozen Budweiser’s for $6.99. The price of gasoline was less than $4.00 a gallon. The BMO says that the lofty Loonie is here to stay so that it will appear that many more Canadians will be taking their vacations State-side this year and Canada will see less U.S. tourism based on the higher price of goods and services and the need to have a passport to cross the border. This does not favour good long-term growth for tourism related industries or those exporters and those who ship the majority of their production to the U.S. It should however give Canadian politicians some food for thought about reducing corporate taxes, reducing the taxes on gas and decreasing consumption taxes such as the HST and GST to make Canada more competitive with our friends to the south. 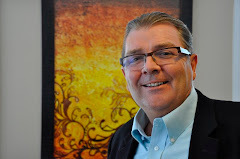 Kensel Tracy is the Marketing Coach and is Senior Partner with the Corporate Coachworkz in Chelsea, Quebec.